In January 2, 1998, the Garrett Falcons Varsity Boys Basketball team made the most number of three point shots in a single game, with 32 shots going through for a final score of 117 to the opponent's 39. Unsurprisingly, the USA basketball team has scored the most number of Olympic gold medals since the sport was introduced to the Games in 1936. They won their 13th in the 2008 Beijing Games. The New York Nicks won 12 straight games against the Boston Celtics in 1995 and were the first to do so. The largest crowd to witness a basketball game was logged in February 14, 2010 for the NBA All-Star Game in Dallas, Texas with 108,713 viewers in attendance. 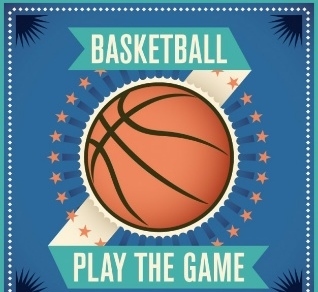 The longest marathon playing basketball, with the final scores logged at 9900-8169 was played in July 1-5 2010 in Hungary. The game was played for a straight 107 hours where no rest breaks were taken. Wilt Chamberlain of the Philadelphia Warriors scored the most number of points in a single NBA game, giving his team 100 of the total 169 scored against the New York Knicks in March 2, 1962. Back then, NBA was not as big as it is now – there were no video footages taken or no members of New York press during the game. Karl Malone, known as the Mailman and a retired legend of the Utah Jazz, has the highest number of defensive rebounds with 11,406. Besides that, he also ranks second with the most number of career points in NBA history, and still holding the record of the most number of free throws attempted and made. In February 16, 2011, Elan Buller of Campbell Hall Elementary School made the longest and successful basketball shot from a 104 ft distance from the ring. Buller is currently teaching physical education at the same school. The world's tallest basketball player based on Guinness World Records, was Suleiman Ali Nashnush, a towering 2.45m player of the Libyan team in the 1960's. It is an enduring basketball facts trivia that the world's youngest NBA scoring champion is still roaring in action. Kevin Durant of the Oklahoma City Thunder is a 21-year old title-holder averaging 30.1 points per game in the 2009-2010 NBA season. In 1985, Mark Eaton of the Utah Jazz denied 456 shots in one season. Don Nelson currently holds the record for being the coach with the most number of victories through his career. With 1,335 wins on his belt, Nelson has been coaching for over 30 seasons for Milwaukee Bucks, New York Knicks, Dallas Mavericks and Golden State Warriors. It is amusing Basketball facts trivia that the game was first invented to simply occupy students between football and baseball seasons. Also, the Los Angeles Rams had the most losses at 7 of any team to play in the Super Bowl.